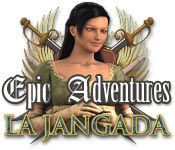 Epic Adventures: La Jangada is rated 3.3 out of 5 by 10. Rated 5 out of 5 by upsysydaisy from Good Game With A Good Story It was based on a Jules Verne novel, so it caught my eye. The voice of Minha the storyteller was so lovely, it made listening to every word very pleasant. 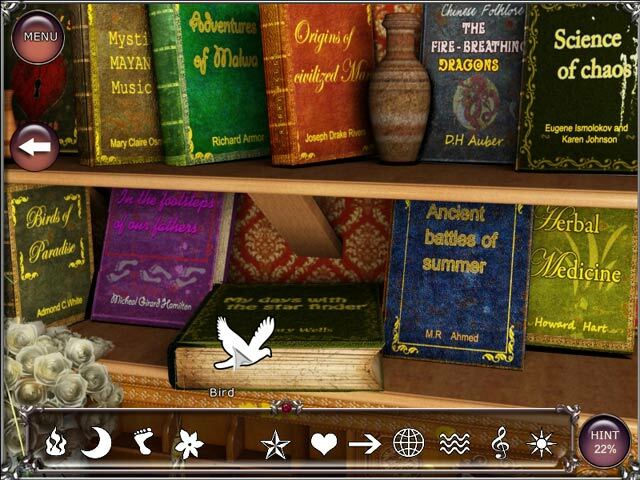 The hidden objects were VERY well hidden and VERY tiny, thus making the game longer and the eyes more tired. However, unlike most other reviewers, that does not bother me at all. I hate easy HOGs and I adore a super great challenge. And this game did not disappointment me in the least. The few games that were included were also challenging because there were no instructions, no clues, no hints, no skips...NADA !! But they were all do-able and made me feel quite clever, lol) ! Also, do not quit a scene or game until you have completed or you will have to start it over again, that should never be part of any game as it is not fair. There was no penalty for clicking like crazy and the hint refilled quite quickly. I seemed to always use the hint for the last hidden object. And contrary to one reviewer's comment...there were just a few HOGs that were find 10 of this or 12 of that. The story was very good, was easy to follow and led to non-abrupt, appropriate ending. And that does not happen in a game very often. I think Jules Verne may have been pleased with this fun game created, thanks to one of his wonderful books. I am sorry that some of the reviewers did not give it a chance and quit too soon. As for me, I truly enjoyed it. I just grabbed my trusty old magnifying glass when needed and got down to business. Rated 5 out of 5 by paramiti from ENGAGING HOG!! JUST LOVE THIS STORY! I purchased this game based on playing the demo.. i didnt have the funds to purchase it when my demo time was up i thought about the game all the time until i was able to purchase The story is Fantastic and i was left wanting to know what was going to happen next my eyesight is not 20/20 and i did find the HOS challanging The story is Creative and Interesting Gameplay is FUN For HOG Lovers i TOTALLY RECOMMEND THIS GAME!!! Rated 5 out of 5 by marg6043 from Great game I felt in love with the story of this game, I bought it when it first came out, the story was lovely, the game played along with it, the graphics were fine for me and I truly enjoyed this game. It is a bit challenging but playable. Rated 4 out of 5 by arnold1049 from STORY HELD MY INTEREST This game has a few drawbacks, particularly the amount of dialog that you go through. You can skip the dialog, but, to me, the story was one of the stronger parts of the game, although it was a little slow moving. The story is about a daughter who is leaving Peru to go to Brazil to be married, but once the families reach Brazil, the father of the bride is arrested for a 23-year-old murder. The family, mother, daughter, son and soon-to-be son-in-law, must find evidence to exonerate the father. There are a lot of HOS, which is good for a HOG. And the HOS were hard; extremely small objects extremely well hidden. Some players will find this frustrating and at times I did, too. I found myself using the hint button a lot. The hint button worked differently than most. Instead of showing you the item in the scene, it brought up a small picture of part of the scene in black and white with the item in color. In order to find the item, you have to close the picture and then try to find that small part of the scene that was shown in the picture to find the object. Even that was hard at times. So even with the help from the hint button, it was not a walk in the park. Another thing I enjoyed about the game was the voice over. There was only one character that talked, the female heroine, and I enjoyed her Spanish accent and the way she correctly pronounced the Spanish words. This game is set in Peru and Brazil so this audio was right on. The graphics were pretty clear and colorful, although not too realistic. The characters are wandering around the Amazon jungle, but not a hair is out of place and their clothes stay clean and look like they just sat down to a formal dinner. It is also not a really long game and has no other bells or whistles. But it held my interest until the end. Rated 4 out of 5 by mspaws from Can be a little challenging This is a good game and interesting story line. While I am not a bit fan of puzzles and such, I did ok and just kept focused on the HO's and the storyline. I will play this game again so it has $$$ value to it! Rated 3 out of 5 by hermitcave from More story than game If you like a few HOS sprinkled in among your story with a couple of puzzles thrown in then you will like this one. Each screen has to be loaded so thus it is an old game. The graphics for the story are very nice but the HOS contained bits and pieces hidden almost completely behind other items making them very hard to find. The story was well written and all of the HOS and puzzles do support the story. For a story buy this one; for a game pass on it. Rated 2 out of 5 by pennmom36 from Epic Adventures: La Jangada I had a hard time getting through the one hour demo on this game. 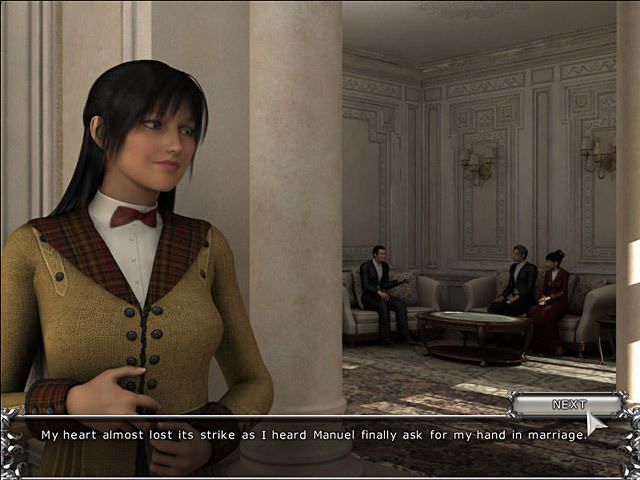 At first I didn't mind the main character's narration of the story, but it just kept going on and on, followed by a Hidden Object Scene, and then more of the story being told, the other characters backgrounds, the way they acted what the were doing or even what she thought they were thinking, it was just too much information. 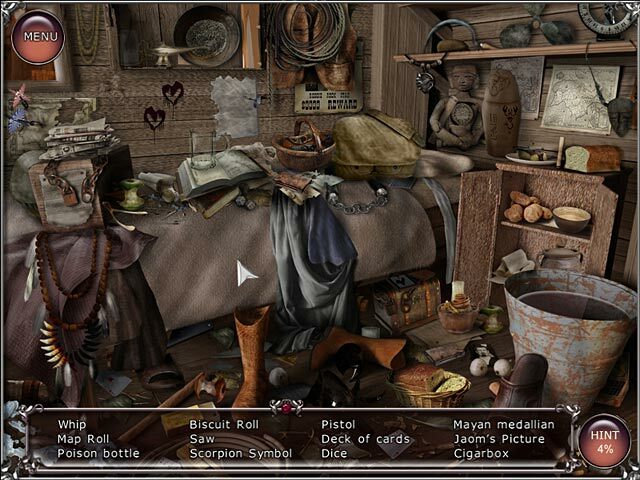 The Hidden Object Scenes were different each time, Find 12 Roses in the garden, pick up an item that matched the list description and place it within the same scene where it belongs, Find items that match a green dress, or finding several scraps of paper. I just found the tasks mundane, help Minha pack, help her shop, etc. Rated 2 out of 5 by coffeyfan77 from Tedious Trip I'm predisposed to games based on historical events and characters, or literature. So it's with a heavy heart that I report you'd be better off reading a book than playing this game. The story is the best element, as it's interesting and complicated and full of twists (though the largest one you see coming a mile away). If only the developers had spent an equal amount of time on gameplay. The hidden object scenes are difficult only because the colors blend together and the objects are 75% hidden behind other nebulous images. It's elation when you get through them. The game does have an interesting sidenote of the main character commenting when she collects certain items, but too often it's the same phrase over and over. "Oh, that might be helpful." "I hope those books aren't ruined." So on and so forth. Spoils what could be an exciting method. As to the minigames, they are all very standard and not difficult in any way. Piecing together documents, find the differences, you've been there, done that, and likely in a far better way. Let's find all the symbols in the old church! Then all the random bits of paper in the garden! And then find the aspirin for the eye strain you'll get scouring pixels. At the end of the day, a good premise wasted. Not enough serious exploration of the Jangada itself. If you've got some time to kill, go for it. Otherwise pick something more entertaining. Rated 2 out of 5 by drkne from Darn those 2 minute sales! One of those games that I fell for it... "you have 2 minutes to buy this game for $4!" hehe Well, it was an ok game, but mostly something I'd just kill time with. It was stiff and stale in my opinion. Some of the puzzles were rather challenging, but again another game with, naive characters who aren't the brightest. Feels a bit like a Scooby Doo mystery. Rated 1 out of 5 by BSHADOW from Annoying and tedious If you like looking for little bits of color that are actually objects hidden behind other stuff, or if you like lots of talking by the main character than this might be for you. I could not find half of the objects without hints and even when I used a hint I could not see the object. I just found most of them by clicking randomly in the general area. I play games while watching TV so all of the many dialogs were very annoying. I just found this game very tedious and annoying and didn't finish it. Help Minha save her father from the gallows in this 19th century epic based on Jules Verne’s novel La Jangada.